First, thanks to John Scott for the frequent updates from Porto! We may still have some posts coming in from others as they make it back home. For you clarinet night owls out there, we would like to let you know about a project from the Australian National University's music school which includes a streaming clarinet concert tonight, Aug. 15, at midnight CST. (This is technically 12 AM CST/ 1 AM EST on August 16.) The program includes works by Bassi, Beethoven, and several new works, including a Bela Kovacs piece called After You, Mr. Gershwin. The performers are Alan Vivian, clarinet; David Periera, cello; Alan Hicks, piano; and Katherine Day, piano. What's especially exciting about this project is that it is more than just a concert. 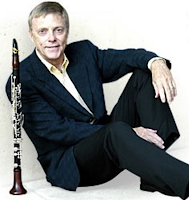 The Clarinet.Ballistix blog has program notes, bios, video interviews with the musicians, and interactive features that encourage an online discussion before, during, and after the concert. Anyone can submit questions to the musicians, or write a concert review. It's a neat experiment, and we encourage everyone to participate, even if you can't view the concert live. The concert is at 3 PM in Australia, so the timing is awkward for those of us in the Americas. But if you would like to watch the streaming concert, go here to find the link. Enjoy! Let’s begin with a quick update from yesterday afternoon and evening. Belgian clarinetists Eddy Vanoosthuyse and Jun Gunds performed a great recital of music for clarinet, basset horn and piano (my apologies to the unlisted pianist) - Beethoven, Mozart, Bruch and Mendelssohn. All save the Mendelssohn Concertpiece No. 2 substitutions of the clarinet for oboe (the Prometheus Adagio), voice (“non piu di fiori” from Titus) and viola (Romanische Melodie). It all works. Beautiful playing. Last evening closed with two programs including two bands, Banda Sinfonica da Bairrada and Banda de Musica dos Arcos de Valdevez. 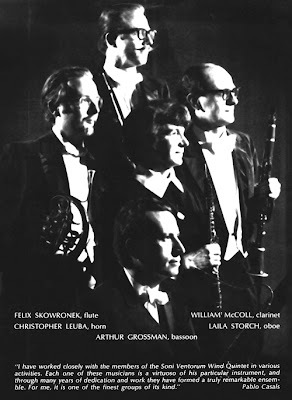 The litany of clarinetists included Nathan Williams, Richard McDowell, Henk Soenen, John Masserini, Stephen Vermeersch, The Stark Quartet, Christelle Pochet, Emile Pinel and Phillipe Cuper. It’s a musical who’s who and who will be. This morning began with a recital by Nicholas Cox and pianist Artur Pereira in works by Devienne, Horne, Debussy, Macmillan, Bennett and Gregson. Cox is such a fine clarinetist and musical stylist. It is exciting to hear someone with panache – and I do mean the sort panache with good taste. For those of you look for a new lyrical and jazz influenced piece, I recommend Richard Rodney Bennett’s Ballad of Shirley Horn (Chester, 2005). Take note: Mr Cox provided his own programs, hence the details. Part two of the recital was Pascual Martinez Forteza, second clarinetist with the New York Philharmonic along with his wife as pianist (my apologies to her, we are back to no programs). Widor, Yuste, Stockhausen and a set of variations on themes from Cavalleria Rusticana (sorry, an arrangement I did not know). 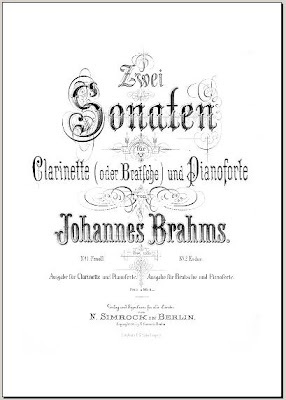 Spectacular clarinet playing – tone, intonation, technique. It just doesn’t get any better at least to these ears. Reporting on all of the events. Is not possible; too much good music in too many places. The Journal will have a full report soon. I am off in a few minutes to judge the High School Competition at the Conservatory located a few blocks from here. All reports are that the finalists are stellar -more on that later. Another beautiful day. Can weather be bottled? Tuesday, Mid-day in Porto. Awoke to a view of sailboats on the ocean. Today at ClarinetFest began with a beautiful performance by the Webster Trio, Leone Buyse (flutist), Michael Webster (clarinetist) and Robert Moeling (pianist). Michael's new transcription of the Debussy Petite Suite is so well written and was very well played. It is to be published soon. Buy a copy. No more to say there. The last work on their program was Birds of Paradise by Robert Sirota. It was commissioned by the Websters in honor of the 20th anniversary of both the founding of the trio and their marriage. It is a wonderfully effective piece, another fine contribution to this repertoire. Elegant playing and impeccable intonation and ensemble. Trio(Des)concertante with Sergio Neves, clarinetist; Ana Luisa Marques, cellist; and Carisa Marcelino, accordianist concluded the first concert of the day playing works by Paulo Jorge Merreira, Carlos Marques and Carlos Marecos. The combination is really wonderful rich sound. All three of the players were outstanding. The attention to detail and nuance deserves special mention. The music is virtuosic and brilliantly played. These American ears of mine were enriched. I spent much of the remainder of this afternoon exploring the neighborhood in a search for the Porto Conservatory facilities where the performance competitions are scheduled. The semi-finals of the Young Artist's Competition are complete with no results posted yet. I heard a bit of one of the players performance of the Francaix Theme and Variations. If what I heard is the standard, the judges has a difficult job ahead. The finals are to come as is the High School competition. The standard of playing is still on a steady rise. A model for the world economy. Only four more concerts to go today. We still experience problems with the organization of the conference, no program books yet, exhibits are not quite ready and . . . breath deeply and listen to wonderful music. ClarinetFest began with a gathering of all in the Casa da Musica in Porto for registration at 1:00 p.m, and at 3:00 p.m. and at 4:00 and . . . , well you get the idea. Through a series of mishaps, registration did not take place as planned. We are all register beginning tomorrow morning. One never knows what causes these things, but running any sort of conference brings its own set of problems. As Miss Scarlet said "tomorrow is another day." In spite of all this, what really counts did happen. The opening concert tonight began at 9:30 p.m. The Orquestra do Norte conducted by Antonio Saiote performed with three clarinetists. David Silva performed Weber's Concerto No. 1 Op. 73 in a brilliant manner playing flawlessly - "that's the way it goes" as we would say. Second on the program was a performance by Selmer artist Phillipe Berrod who played Rossini's Introduction, Theme and Variations - brilliant technique is the word of day - a bit too fast for my taste - would that I had the technique to bring it off in such a dazzling manner. The program closed with David Krakauer playing several klezmer solos with all panache one would want - an encore with Krakauer, Berrod and Maestro Saiote closed the evening - soul music! Yes, I did say conducted by Antonio Saiote. One of Portugal's greatest clarinetists and clarinet teachers is also a fine conductor. Tomorrow when I see him to congratulate the maestro I'll be sure to ask him if he uses a #3.5 or a #4 baton. Bravo Antonio. The temperature holds in the mid 80's with wonderful cooling in the evening. O blessed day . . . more tomorrow. Registered or not the music will go on. Come across a metal clarinet lately? Most people have only seen metal clarinets used as a decorative lamp base, probably stowed away in grandma's attic. However, metal clarinets are legit instruments worthy of respect. One web site dedicated to the instrument, www.Silver-Clarinet.com, presents a historical overview and useful information on metal clarinets. Here you will find a chronological overview of manufactures (Selmer, Silver King, Buescher, Conn, etc. ), brand specifications, current market value, and numerous photos. 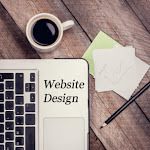 This site also holds links to related web pages, a vintage metal clarinet forum, classifieds, and instruments for sale. Not sure what a metal clarinet sounds like? 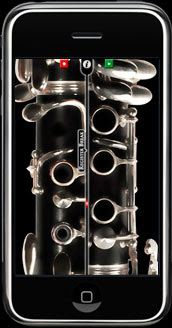 Often favored by jazz musicians, this type of clarinet has a timbre akin to the saxophone. 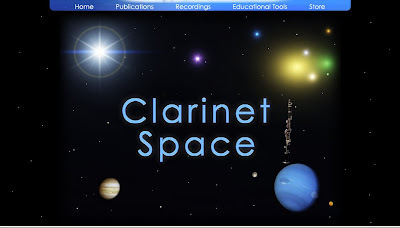 Silver-Clarinet.com features an audio clip of a metal clarinet being played on the homepage. You can also watch videos of an eccentric clarinet-playing cab driver (TaxiJazz.com) playing metal clarinets via the "Purple Page" link located in side-bar menu. And don't forget to test your own ears in the link to Kyle Coughlin's web page (previously reviewed by Clarinet Cache) where his Metal Clarinet Test compares metal and wood clarinet sound files. 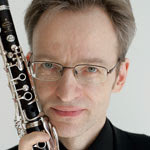 If you are interested in another perspective concerning the history of metal clarinets, check out the article "The Clarinet that Made History" by Eberhard Kraut. This noteworthy article takes a look at the history of metal clarinets sprinkled with anecdotal reflections on George Lewis's use of metal clarinets in forging the sound of jazz in New Orleans.